Kertész Imre's Fatelessness is getting some decent UK coverage. Today David Cesarani reviews it in The Guardian -- but will the publishers dare use this obviously catchy comparison as a blurb on the next edition ? It is almost like reading Catcher in the Rye transferred to Auschwitz. This week it is The Times that offers a puffy Salman Rushdie profile, as he: "talks to Ginny Dougary about the war on terror, wonderful women -- and why he thinks Joanna Trollope is cool"
When I ask him about her, he says: "Do not start me on Marianne Wiggins." Oh, it�s like that still, is it ? "Yes, it is." So we hope one of the next interviewers isn't so soft and does get him started on her. We mentioned William Dalrymple's The lost sub-continent last week, and now Pankaj Mishra responds to it with a pretty sharp letter to the editor in The Guardian. Stuart Kelly's The Book of Lost Books is due out soon (in the UK; in the US you'll have to wait until April), so he's getting some decent coverage for his intriguing-sounding book. In The Independent they give him space to write about The missing masterpieces, while in The Times Katherine Swift offered a sort of description/review of the book. As to The Book of Lost Books, see the Viking publicity page (as well as the still uninformative Random House one), get your copy at Amazon.co.uk, or pre-order at Amazon.com. 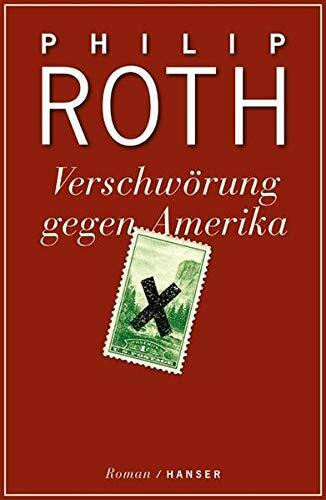 ROTH: Sie versucht, sämtliche Errungenschaften der Roosevelt-Ära, des New Deal zu demontieren. Sie versucht, alles zu eliminieren, was auch nur entfernt die Züge eines Wohlfahrtsstaats trägt. Das ist natürlich kriminell. Hätten die Ereignisse vom 11. September nun nicht stattgefunden ... der islamische fundamentalistische Faschismus würde sich trotzdem Gehör verschaffen. Es wäre irgendwann sowieso zum Showdown gekommen zwischen Amerika und dem Islam und Europa und dem Islam. Die Welt sähe also möglicherweise gar nicht so anders aus. Die Zeit: Und die Kriege in Afghanistan und dem Irak ? ROTH: Ohne den 11. September hätten wir vermutlich keinen Krieg in Afghanistan. Den Krieg im Irak wollte Bush ja offensichtlich seit seinem Amtsantritt. Diese Regierung h�tte auch ohne die Anschläge Vorwände gefunden, in der Welt den Schaden anzurichten, den sie derzeit anrichtet. (ROTH: They're trying to dismantle all the accomplishments of the Roosevelt era, the New Deal. They're trying to eliminate everything that in any way suggests a welfare state. That is, of course, criminal. If we hadn't had September 11th ... Islamic fundamentalist fascism would still have made itself heard. It would have come to a showdown between America and Islam and Europe and Islam sometime anyway. So the world might not have looked so different after all. Die Zeit: And the wars in Afghanistan and Iraq ? "I was going to be in all the shop windows, I was going to be on TV, I was going to have print advertisements taken out for months," Cleave says. "It was going to be on two-for-three promotions, 'Best Summer Reads.'" Then all the shiny new Incendiary posters that decorated the tube stations were promptly taken down. Waterstone's, Britain's famed bookstore chain, also pulled its in-store displays. Cleave says he agreed with the decisions: "It was a huge book. And now it's a small book in the U.K."
While Incendiary had a first printing of 25,000 copies in Britain (an exceptional number for an unknown author), criticism surrounding its timing and gore has slowed sales. How about the fact that it is just not very good (indeed, we would argue it's pretty damned bad) ? Knopf originally trumpeted a U.S. printing of 100,000 copies; when it was released this month, that number had been reduced to 50,000. Still, the American reviews have been surprisingly good (surprising because its weaknesses seem, to us, glaring and overwhelming), and that and all the attention (articles such as de la Torre's included) will certainly make for greater sales than this book deserves. It's that time of the month: Al-Ahram Weekly serves up another issue of the Cairo Review of Books. As always, the At a glance-overview of recent publications offers an interesting peek at the Arabic-publishing scene. Also of interest: Amina Rachid's Obituary of Arabian Nights-translator, Jamal-Eddine Bencheikh. The most recent addition to the complete review is our review of Xu Xing's Shengxia de dou shuyu ni. Xu Xing�s fiction fuses Daoist traditions with Western nihilism. These short stories on the surface are facetious, but are in fact strident indictments of contemporary Chinese society. Get your copy of Variations Without a Theme from Amazon.com or Amazon.co.uk -- not that anyone (despite the customer reviews) ever seems to have done so. As we mentioned a few days ago, Vicky 'Posh Spice' Beckham's admission that she never bothered to read a book generated a lot of commentary. As widely noted, the BBC now points out in Can read, won't read books that she's far from alone -- not reading is very popular. And in The Guardian Hester Lacey even complains about The tyranny of reading, arguing: "there are plenty of people out there who don't read books and who are none the worse for it". It is pretty amazing how reading is seen as a very positive thing -- despite the fact that many literature-lover, poetry-spouting, novel-quoting folk have adversely affected much of humanity with their actions. The PR-value of claiming bookishness (at least at a very low level) has again been demonstrated by the jr. Bush administration's recent wild claims that the American president actually has taken along three books for vacation reading; see Bookworm Bush's holiday reading by Jamie Wilson in The Guardian and Bookworm Bush ? Take it with grain of salt by Ellis Henican in Newsday, for example. Being a reader is, of course, something different: a token dip in some non-fiction books -- like a book-a-day habit of Harlequin romances of Agatha Christies -- truly is no better than watching TV. But we (obsessive, and swimming -- drowning ! -- in books) still can't help but feel that if you really go at it there's little that can improve and enrich the life-experience as much as reading. And those that don't see and reap the rewards just aren't going at it right (and no matter how hard she tries, Posh's leafing through fashion magazine won't ever give her anything approaching that satisfaction). Forget about books on grammar or the finer details of the English language, even bestsellers like Harry Potter and Enid Blyton are unavailable for Kashmir's youngsters. "The culture of book reading is dead. All you can buy and look for in a bookstore in Kashmir now are just books prescribed in the course for various examinations," said Shabir Ahmad, a college teacher here. He argued that even parents were discouraging extracurricular reading by children. The Australian Bureau of Statistics have released their publisher-statistics: find a summary here, or download the whole thing here. Among the interesting statistics: non-fiction dominance (59 per cent of titles, v. just 25 for fiction and 16 for children's) -- though presumably that is arrived at by counting everything that isn't fiction as 'non-fiction' (including cookbooks, dictionaries, etc. etc. -- i.e. not the way it's usually done). There were 8,602 new Australian titles published during 2003-04. Over one-half of these printed titles (55% or 4,610) were educational. Of the 3,724 general-content titles, 44% were trade paperbacks, 40% were mass-market paperbacks and the remaining 16% were hardbacks (table 15). Book publishers and other major contributors employed a total of 5,300 people. Of these, 1,848 (35%) were males and 3,452 (65%) were females. Australian books were "crap" and holding back the development of the national literature landscape, a leading author claimed yesterday. Sonya Hartnett, a Melbourne-based writer, said publishers were printing too many books which were putting people off reading. President A.P.J. Abdul Kalam Tuesday said important works of literature and science in various Indian languages should be translated into Hindi. There has been an incredible proliferation of literary weblogs, and we've finally gotten around to a major overhaul of our Links to Literary weblogs-list. Only a few additions and subtractions (the much missed CESLIT among them !) since we keep the list fairly up-to-date, but we've moved from four to five categories and added more brief site-descriptions. The numbers are pretty staggering -- 45 weblogs that are updated pretty much (week)daily, 86 more that are updated less frequently (sometimes only slightly less so), etc. The most recent additions to the complete review are our reviews of two Pierre Boulle titles, his classic Planet of the Apes, as well as Trouble in Paradise. Planet of the Apes is an interesting book because of the prominent place of the movie versions in the popular imagination, raising the question of whether it is even really possible to read this text without being overwhelmed by the extraneous iconic imagery (sorry, there's no Statue of Liberty sighting in the book). This is one of the books that was made into a movie and was then re-novelised -- see William T. Quick's version (get your copy at Amazon.com). The movies -- different from the book -- do, in a sense overwhelm it. Too bad. Two weeks back we mentioned David Bellos' letter to the editor in the TLS regarding the question of whether or not Ismail Kadare is or isn't or claims to be or is a prototypical or can't be considered etc. etc. a dissident. Now, in the 12 August issue, Barry Baldwin responds with a letter of his own (briefly available at the TLS site (third letter down)). I quoted Bellos�s sensible criticisms of the common third-hand English versions of Kadare from French translations of the Albanian originals, published in the electronic Complete Review Quarterly. That being, of course, The Englishing of Ismail Kadare, we being the crQ in question. Bellos denies that Kadare calls himself a dissident. I do not understand how anyone can read the specified interviews with David Binder and Robin Smyth, or Kadare�s self-aggrandizing claims in Albanian Spring and the published Dialogue with the tame French journalist Alain Bosquet, and believe this. Fun though this back and forth and these arguments are, we look forward to the expanded version which actually makes the relevant statements (and other evidence) accessible to one and all (Bellos' reliance on an unpublished interview last time 'round was similarly unhelpful). The Herald offers edited highlights of Boris Akunin and Ian Rankin discussing the writing of crime fiction at the Edinburgh International Book Festival. There have been several articles about this recently, as publishers now offer a new excuse for moving away from the mass-market format and offering larger-size titles (with a bigger profit margin). As Carol Memmott reports in USA Today, Paperback publishers put premium on size. The advantage for publishers is obvious: premium pricing, i.e. fatter margins (which is presumably why authors and booksellers don't complain either). We understand that there are readers out there who actually like the trade-paperback and similarly oversized books (independent of type-size), but we'd like to voice support for the mass-market paperback size again -- our hands-down favourite. To us smaller is obviously preferable -- as far as book size goes. Trade-paperbacks are unwieldy, hard to handle and hold and, especially, to lug around. Pocket-books are a wonderful thing -- indeed, we'd actually be willing to pay a premium for that format ! It's a slow literary time of year, so we'll even link you to such pieces as this list of the Top 10 love stories, as determined by a survey by "Tango, a new magazine dedicated to love and relationships"
Hey, Pride and Prejudice tied with Bridges of Madison County ... for tenth place -- both managing to get beaten out by ninth-ranked Men Are From Mars, Women Are From Venus. I haven't read a book in my life. I don't have the time. I prefer listening to music, although I do love fashion magazines. The vacuous Ms. Beckham is an easy target, but she's far from alone -- and given her experiences with the publishing industry (cynically packaging, selling, and profiting from her 'autobiography', Learning to Fly), it's no wonder she finds these book-objects hard to take seriously. They are products and fashion accessories; content is irrelevant. In Gotcha ! in the Boston Globe Hua Hsu looks at "The pleasures of literary hoaxing". Among the ones mentioned: Alan Sokal's (described in Fashionable Nonsense) and the Ern Malley affair (described in Michael Heyward's The Ern Malley Affair). The most recent additions to the complete review are our reviews of two Willem Elsschot titles, Cheese and Villa des Roses. The star-studded and long Edinburgh International Book Festival started yesterday, and runs through 29 August. See coverage at the BBC (Festival lures literary 'titans') and The Scotsman (Politics is packing them in at book festival ), for example. a novel so boring that, halfway through, I became gripped by vertigo from staring down its white cliff of unread pages. To write 824 pages this monotonous -- to have chosen always the mediocre word, the unevocative phrase -- must be considered an accomplishment of sorts. Stephanie Merritt's Man Booker Prize-overview in The Observer, The odds-on couple, conveniently sums up the longlisted titles, and provides both the William Hill and the Ladbrokes odds. After five years and eight months in exile as a laxly pursued fugitive, Kim Woo-choong returned to the motherland in June to face charges of political payoffs, illegal loans and accounting fraud. There is one charge that is missing from the list, and that is being a literary fraud. The most recent additions to the complete review are our reviews of two Peter Ackroyd titles, The Clerkenwell Tales and his mini-biography, Chaucer. 2002 Nobel laureate Kertész Imre's Fatelessness is finally coming out in the UK (get your copy at Amazon.co.uk), and George Szirtes reviews it in The Times today. There is a second translation now because the first to appear was graceless and was published only in the United States, and the Kertész book that followed it, Kaddish for a Child Not Yet Born, was almost unreadable. This meant that Kertész remained more or less unknown in the English-speaking world and the awarding of the prize came rather out of the blue for Anglophone readers. Sadly, Kertész remains more or less unknown in the English-speaking world -- American publication of the new translations of Fatelessness and Kaddish for an Unborn Child (as well as of the previously untranslated Liquidation) was not exactly greeted with much interest. 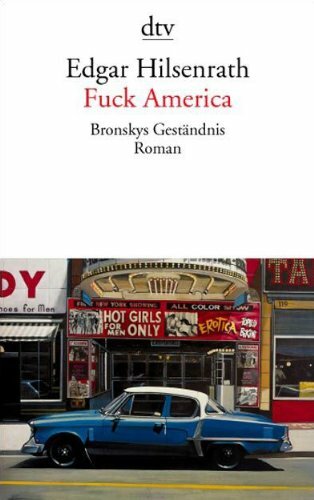 A pretty poor publicity campaign by Vintage didn't help with the new translations -- but the situation in the US is still far preferable than in the UK, where Fatelessness is the only one of the lot to be published, the rest set aside for the time being. Pathetic. In The lost sub-continent William Dalrymple offers a good overview of Indian writing -- both in India and, especially, abroad. And then of course there is the great Elephant in the Living Room that is so often ignored in discussion of Indian writing in English: the whole wider universe of Indian vernacular writers, especially in Hindi, Bengali and Marathi, where authors such as Suryakant Tripathi Nirala, UR Ananthmurthy and Paul Zakaria can sell tens of thousands of copies -- much more than most Indian writers in English -- but remain untranslated and largely unknown to readers in the west. Last week we mentioned that Hilary Mantel had raised additional questions about the originality of Judith Kelly's Rock Me Gently, and now in The Independent Cahal Milmo reports Bloomsbury withdraws paperback accused of plagiarising 'Jane Eyre' and 'Brighton Rock'. A spokeswoman for Bloomsbury told The Independent: "We currently have no plans for a paperback edition. Judith is mortified by what has happened. We take responsibility for the book and we have withdrawn it until we can be certain there be will no further problems." Sadly, previous scandals about unoriginal memoirs have done little to dent the proliferation of this horrible genre, so we don't expect this to turn public opinion against them either -- people continue to buy this crap, regardless. The amount of money it pays for an essay or a medium-sized translation can buy the author one tank of gas -- that's what I used to do after a visit to the journal's cash office. (...) That being said, Inostranka remains a refuge of quality hard to find in today's commerce-driven environment. For more information and background, see also interviews with deputy editor Alexei Zverev in "Today Our Magazine is More Important to the Younger Generation" and Prose Translator Is Also a Rival. In Die Zeit Bernd Wagner's essay Angst vor der Wirklichkeit considers why Kafka, Broch, Musil, et al. have been canonized in German literature, while popular authors such as Hans Fallada, Erich Maria Remarque und Edgar Hilsenrath are still generally looked down upon by the literary establishment. Remarque has done exceptionally well both abroad and in Germany, and Hilsenrath has also enjoyed considerable popularity -- especially in translation. Wagner notes that the German publishers were still reluctant to publish his Night: "während die amerikanische Übersetzung inzwischen an Tankstellen verkauft und in Schulen gelesen wurde" ("while the American translation was being sold at gas stations and taught in schools"). This book does, indeed, appear to have been successful in the US (though we missed the sight of it being sold at gas stations ... way before our time, apparently) -- but it doesn't look like it lasted: Night appears to be way out of print, with the out-of-print editions listed at Amazon.com (Manor Books) and Amazon.co.uk (W.H.Allen) dating from 1966 and 1967 respectively. On 21 August they'll be celebrating Dorothy Parker Day. Kathy Hall previews it at Atlanticville.com, in Dorothy Parker Day to honor a reluctant Jersey girl, while DPSNY also describes what you can look forward to (and conveniently provides a train schedule for New Yorkers heading out to the event). Among the excitement: a plaque will be unveiled ! As you've probably heard, the Man Booker Prize longlist was announced yesterday. Only 17 titles made the longlist (out of a mere 109 entries). There appears to be no minimum (or maximum) for the longlist (unlike the strictly six-title shortlist), but this is fewer than the past few times around. There has, of course, been extensive press coverage. And, of course, there is the regional coverage, such as Phil Miller's Scots among �exceptional� Booker list in The Herald. We only have two of the titles under review -- Kazuo Ishiguro's Never Let Me Go and Ian McEwan's Saturday -- though we expect to cover quite a few more (the books by Banville, Barnes, Coetzee, Mantel, and Ali Smith, certainly) -- though several will probably only be readily accessible to us after US publication -- which, in some cases, looks to be after the prize has been awarded. (Updated - 12 August): In The Bookseller Scott Pack finds a Stampede in sight -- though he reminds readers about the longlist that: "The one thing it does not do is sell books. Not many anyway. (,,,) The exception to the rule is the small presses." The first post at the Literary Saloon went up three years ago today, on 11 August 2002 (hey, the complete review itself has been around since the spring of 1999 ...). Not much to say about that, except: we're pleased to see how many new literary weblogs have popped up in the meantime -- and that, despite all that additional coverage that's now available, there still seems to be a place for what we do. We do appreciate the fact that so many of you do drop by -- and we hope you do so because there's actually content of interest to you to be found here (at least occasionally). You probably recognise the wear and tear better than we do, but we don't feel like we're tiring (yet) so you can certainly expect us to continue doing what we do (for better and worse) for ... well, the foreseeable future, at least. Thanks again for your interest and support -- it is appreciated.